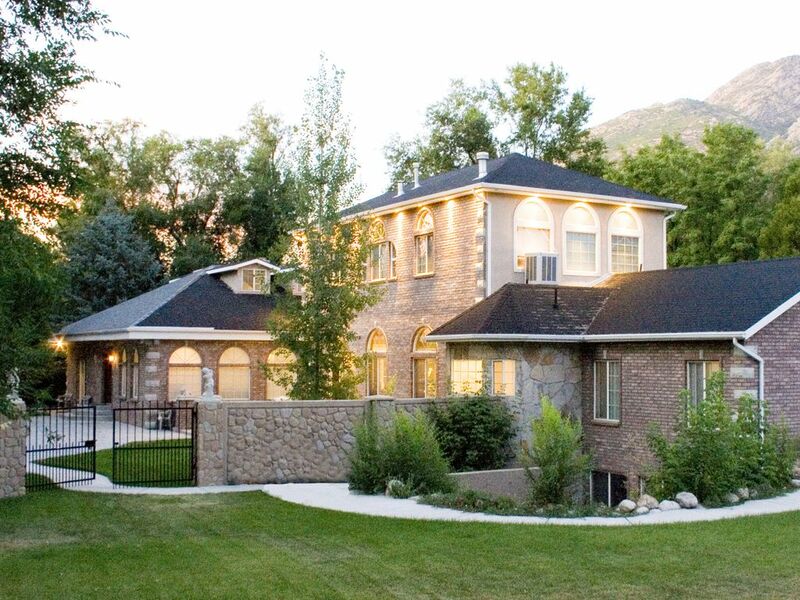 Beautiful estate only 10 min from popular ski resorts . For a truly unique experience with fantastic amenities, look no further! Although this property started as a main house with separate guest house, we have since renovated it to be one large home with the guest home being accessible from within the main home. This benefits larger groups by giving more privacy and room to relax while still having the option to be close to those you are traveling with. This 11,000 Sqf. traditional style property will not disappoint! If you have any questions about our amazing home, please let us know through the "Ask Owner a Question" option on the right side of the listing. We are located at the entrance of the Cottonwood Canyon. 10 minutes from major ski resorts Alta, Snowbird, Solitude close to the Wasatch mountains , Close to majors freeways with in minutes to Downtown, Convention Center, Malls and the best restaurants in Salt lake. Secluded location in a wooded area. - Checking is done in seconds with the door code and you are in. - Property is a 11,000 square foot home , private hot tub, private entry and of course private living area. Guests have full access to the large 2-acre wooded property and pavilion and BBQ area. This property is located in a private community with a care taker on the property. The neighbors really appreciates the privacy of there own homes. Please keep walks and other activities with in the property This is a very secluded enormous home. 10 minutes to Salt Palace and Convention Center. This property is not available for gatherings more than 45 people. We are unable to accommodate reunions, weddings . The home provides with 60 towels if you need more just ask. The home has two laundry rooms for your conviniance. 6 parking spaces , if you need more just ask. Fresh Towels in every Bathroom. Regular coffee Maker Coffee Bar. The kitchen very well stock. 2 Kitchens (one on each level) 1 Bar Area. Ping pong table upon request. The house is very large and spread out.A bit quirky, but lots of room to get away from the group if you need to. We had a variety of ages staying at the house so the house was perfect. More then enough room for everyone to hangout together in the kitchen or living/dinning room yet privacy in variety of different places in the house. Lisa the owner would immediately respond to texts or phone call with any questions. Would definitely stay at the house again when we come back to UT to ski. Location of house was so close to I-215 but in a VERY secluded/exclusive part of the SLC foot hills. Only minutes to little and big canyon roads. Thank You!!!! Awesome for large group. Owners are very nice and accommodating. Great house. Very spacious and convenient. Close to everything. Place has everything you ever need for vocation. We would definitely stay here again. This property is big and good for a girl scout retreat, but not a luxury family vacation. Place was extremely dirty from the cabinets, baseboards and floors on up. None of us ever went around without socks on. The furniture doesn't match, the towels smelled and were limited and overall we were very disappointed. Shower wouldn't drain. Every dish we used we washed first. We would have moved and lost money, but it was Christmas vacation and nothing else was available. Because there was only a dozen of us we used 25% of the house. Location was excellent and near everything. So if you are looking for a large gathering place with low expectations, this will work. Everyone can have their own space. Good location for access to roads to ski.close to stores. Very spacious home with lots of room for our party of 29 people. Extremely quiet neighborhood.